One of my favourite things in the PYP is collaborative planning. Six times a year, my colleague Layla or I meet with each grade level team to collaborate on planning units of inquiry. Facilitating such sessions can range from exciting to frustrating, depending on the team, the unit, the time and, particularly, the ability to frame and agree on the desired conceptual understandings that will underpin the inquiry. This week, I experimented with a different approach to tune teachers into the unit, establish common understanding and model good practice. Year 2 – Central Idea: Public places are organised to meet the needs of community. Write ten places you have been in the past week on separate post it notes. Work collaboratively to sort them in any way you like. What did you realise about the concept of place? Tania’s role was to document the learning. She took photos of the group collaborating, observed the participants’ interactions and recorded the things they said. Grouping/ looking for similar places. Debating and questioning each other. Using language to clarify/ refine ideas. Making connections between places and actions. Places can be used for different things. Places have different meanings to different people. A place doesn’t have to be tangible, it can be in the mind. There are public places and private places. Places can isolate people eg remote rural places. Places can unite and separate people eg religious places. Places serve different purposes and needs. There are natural and made-made places. Places are organised in different ways. I made connections with others’ thinking. Trying to understand what others were thinking about was valuable. Listening to others points of view helped me clarify. Trying to think outside the boundaries to push the thinking further. Listening to others helped me formulate my thinking. I really thought about the concept of place. The learners could do the same brainstorming and sorting activity to tune them into the idea of place. Split screen teaching – focusing on content as well as process of learning. The role of the teacher in observing the learning. Documenting data about students’ actions and thinking. How we might use that data to inform teaching and learning. Connecting to our whole school goal of using both formal and informal data to improve learning. Public places are organised to serve the needs of communities. function I can identify places that I use and say what their purpose is. I can explain how some public places are organised and used. I can compare and contrast a range of public places and classify how they serve different needs. People use public places for different purposes. perspective I can find out what other people I know use public places for. I can give examples of different ways people use the same public place and why. I can compare and contrast people’s perspectives on public places and their purpose around the world. Shared places need to be used appropriately by members of the community. responsibility I can tell you about how I act appropriately in our shared learning space. I can give examples of how I and other people should act appropriately in familiar public places. I understand and can explain what appropriate use of different public places looks/sounds and feels like. Process is as important as content. Successful collaborative planning is enhanced by ensuring shared understandings. Different voices bring a range of perspectives which contribute to mutual learning. Experiencing the learning in the same way that our students do can help us relate to the process and refine our expectations. Observing and documenting the learning process reveals valuable information. Collaborative analysis of the data gleaned from documenting learning is a worthwhile exercise. Being aware of ourselves as learners supports our own learning and that of our students. 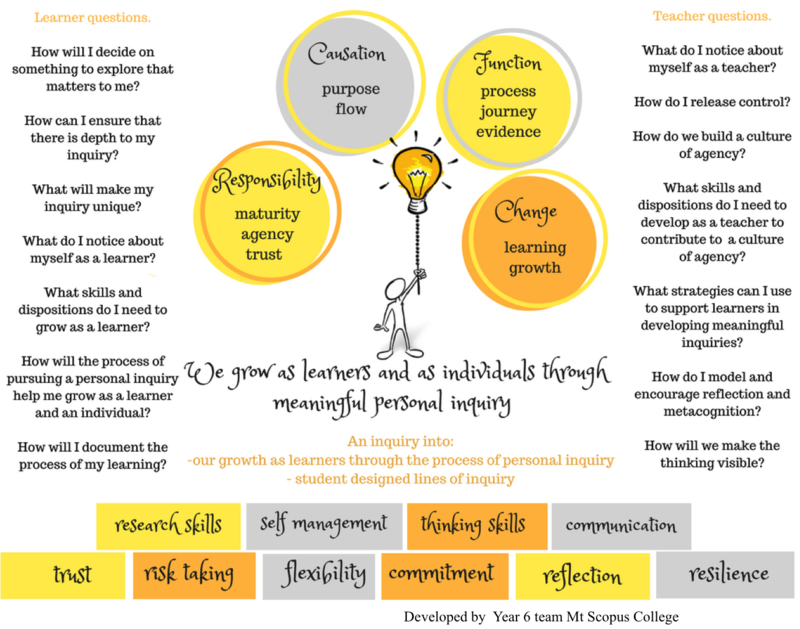 Our beliefs about learning (learning principles) apply just as much to teachers as learners.